“This belongs to the Puritan type of repertories, where the symptom of the patient is recorded without much change. This repertory also belongs to the group of concordant repertories. The word “concordance” means a state of being of the same heart and mind, a harmony, a harmonious arrangement of the symptoms. This word was first used in Homeopathy by Boenninghausen in Therapeutic pocket book. The word concordance was replaced by “ Relation ship of remedies” in later edition of Allen. Other works of the author: Repertory of Headaches. Published By : Jain Publishing Co .
14. Desires, aversions, appetite, thirst. 16. Hiccough, belching, nausea and vomiting. 25. Voice, larynx, trachea, bronchia. 28. Inner chest and lungs. 29. Heart, pulse and circulation. 45. Touch, passive motion, injuries. 47. Stages of life and constitution. Total number of pages – 1232. The order of arrangement, followed in the compilation of this repertory is the one inaugurated by Hahnemann, developed, perfected and used by Hering through out his entire materia medica work viz. : the anatomical or regional division into 48 chapters. Each chapter is alphabetically divided into sections and rubrics sufficient to allow full scope for analysis of the matter contained there in without destroying consistency as a whole. The division of the page into double columns is deemed most convenient for the eye and is most advantageous to economy of space. The section word is repeated down the column in preference to the customary —-, which like all marks of abbreviation, ciphers, signs etc are apt to become confusing and are not as space saving as might be supposed. The words right and left, better and worse etc, to avoid possible error, is printed out in full. The ‘ rubric word ’ or heading to each paragraph, ( eg – Coryza Acrid : ) printed in somewhat bolder and blacker type and followed by a : ( colon ) applies to each symptom in the paragraph, that is the black letter word is to be mentally repeated for every sentence rounded with a semicolon. It will be observed that the symptoms under each rubric follow in alphabetic order. There are four marks of distinction: – 1, 11, 1 , 11 have the significance as set down in guiding symptoms. 11 — a double light line, a symptom more frequently confirmed, or if or but once confirmed strictly in character with the genius of the remedy. 1 — a single heavy line, symptom verified by cures. These degree marks tallies in the main with the four styles of type used by Boenninghausen in his repertory. 0 — the Greek “theta” standing between the cured symptom and the pathological condition, or the physiological general state, throughout the guiding symptom, is dispensed with there, mainly for the purpose of economizing space, by enclosing the pathological or physiological term in parenthesis; it is to be remembered that the presence of the term by no means shuts out the usefulness of the symptom in other forms of disease..
: — the perpendicular dotted line , marks observation taken from the old school such as harmonize with our law of cure. ¶ — symptom observed on the sick only. —– the hand direction cross reference to related symptoms, diseases and conditions . The repertory is supplemented by a complete index of localities and terms. As in the guiding symptoms, so in the repertory; original readings, the words of the prover and the clinician are preserved to the letter, it being thought preferable to retain the most delicate shades of meaning, occasionally even different wordings of the same symptoms, by taking refuge in an extra rubric or cross reference, fuse or commingle in a vague generalization at the sacrifice of individuality. This repertory is a faithful reproduction of the guiding symptoms, its contents classified and indexed. But it can no way can take the place of the larger work. In a repertory , we have separation by analysis for the purpose of classification and ready reference; in materia medica combination by synthesis to enable us to study drug effects in their grand unity and relationship. Author also mentions his gratefulness to those who has helped him ti bring the work to completion. Especially to Dr, C Guernsey foe valuable assistance with proofs, to Dr. W. H. Phillip, Messrs, Douty,Ziegler,and Field, his son Bayard and others of his family foe clerical assistance; and lastly to his brother in law – Walter E Hering, under whose experienced and skillful management,aided by his old and reliable foreman Wm. Baetzel, the unusually difficult composition and press work have taken place. Lastly — abbreviations of 408 drugs given. From Abies Nigra to Zizia aurea. 1. Useful as a book of reference, to find the desired symptom together with the indicated remedy. 2.The symptoms are given in their original form without much change. 3. Symptoms arranged in alphabetical order under each chapter. 4. About 408 medicines are dealt within the repertory. 5.There are four grading of symptoms, which helps us to understand the relative importance of drugs in the concerned symptom. 6. Since the cross-reference is given, one symptom can be referred to at more than one place. 7. Additional chapters are given in this book, which are not found in any other book. For eg : Chapters – Pregnancy, parturition , lactation. Touch, passive motion , injuries. Stages of life and constitution. 1. This repertory is not useful for systematic repertorisation of a case. .
2. The abbreviations given for the medicines are different from other books. 2. In 1890 In 1896. 3. 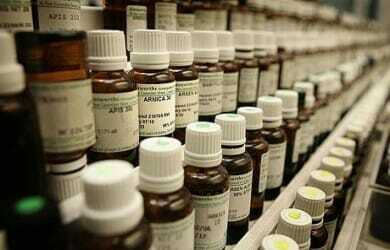 420 medicines 408 medicines . collection of symptoms from all the important works at that time. 7. The number of medicines givenfor each symptom is less More number of drugs given for each symptom or rubric. 8. Total 30 chapters [ in 6 vols ] 48 chapters – from mind and disposition to drug relationship. 9. Abbreviations of drugs used is different. different . 1. Symptoms obtained in the prover are given as such with out much alteration. 2. Alphabetical arrangement of symptoms.